Since the Yankees’ four-game sweep in Boston six weeks ago, I have been planning on being at the Stadium on Wednesday, Oct. 3 for the AL Wild-Card Game. Unfortunately, it doesn’t look like that game will be played in New York. The Yankees’ lead for the first wild-card spot is down to 2 games. Two. T-W-O. With the A’s playing the Orioles the next two days and with none of the A’s remaining 17 games against postseason teams, it’s now more than likely that it will be the A’s hosting the AL Wild-Card Game. So the only way I will be attending the one-game playoff for the third time in four seasons is if I fly across the country for it, which is a brutal trip the Yankees will have to make. If the A’s do pass the Yankees for the first wild card and the Yankees somehow win the game in Oakland, they will have to fly from Boston following Game 162 to Oakland for one game then fly back to Boston to begin the ALDS. They will have used the starting pitcher the organization deemed their best starting pitcher in the one-game playoff and then will face the well-rested Red Sox, who clinched a playoff berth on Tuesday, in a best-of-5 series knowing that the team’s likely best starter won’t be available until Game 3. With the way the Yankees are playing, I would almost rather have them lose the AL Wild-Card Game than have them win it only to be embarrassed by the Red Sox in the ALDS. Like I have always said, there’s nothing to gain from the Yankees ever playing the Red Sox in the postseason. If the Yankees win, they’re the Yankees and they’re supposed to win. And if the Yankees lose, it’s the end of the world. Even in a season in which the Red Sox might win 110 games those rules still apply. I want no part of a postseason series with the Red Sox, especially given the huge travel and personnel disadvantage the Yankees will be in following the one-game playoff. I have kept telling myself that there’s no point in getting upset with any losses for the rest of the regular season because the next game that matters is on Wednesday, Oct. 3, but that was when it seemed like the first wild-card spot was a given. 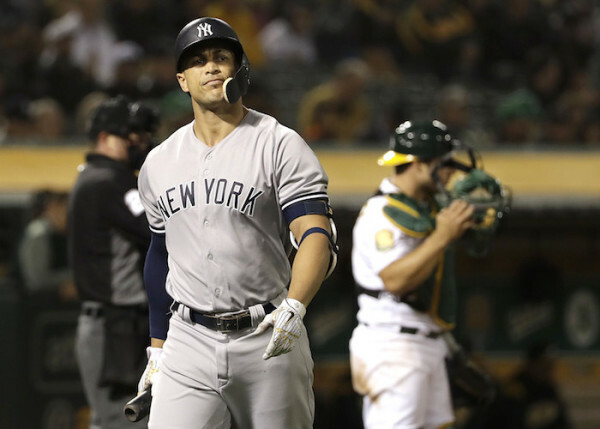 Now it’s anything but a sure-thing and all I envision is Mike Fiers shutting down the Yankees for six scoreless in Oakland and the A’s bullpen putting an end to the 2018 Yankees season, a season that was supposed to end with a trip to the World Series. The Yankees are probably going to win 100 games this season (they have to finish 10-7), but in this 2018 season in which seven of the AL’s 15 teams are on pace to lose at least 88 games, it means nothing. There’s no silver lining for having the second- or third-best record in baseball, but being eliminated in the wild-card game. If the Yankees don’t reach the ALDS, the entire season was a failure. Reaching the ALDS means they reached the actual postseason, and given the uncertainty of a five-game series, reaching the ALDS is all you can really ask for. This season feels a lot like the 2015 season. The 2015 Yankees held a seven-game division lead on July 29 and two weeks later they were trailing by a 1/2 game and by the end of the regular season they were six games back in the division. They finished the regular season losing six of seven, including three straight at home to a last-place Red Sox team and the final three games of the season to a .500 Orioles team. If not for the Diamondbacks win over the Astros in Game 162, the Yankees would have had to go on the road for the AL Wild-Card Game. Not that it mattered anyway since Dallas Keuchel and the Astros bullpen pitched a three-hit shutout in the game at Yankee Stadium. Everyone knew the Yankees were going to lose that game with the way they limped to the finish line and with Keuchel, their kryptonite and Cliff Lee 2.0 at the time, starting that game. There’s no 2015 Dallas Keuchel on the A’s this season, but whether it’s Mike Fiers or Trevor Cahill or a bullpen game, I have that same bad feeling about these Yankees and the one-game playoff with the game three weeks from today.